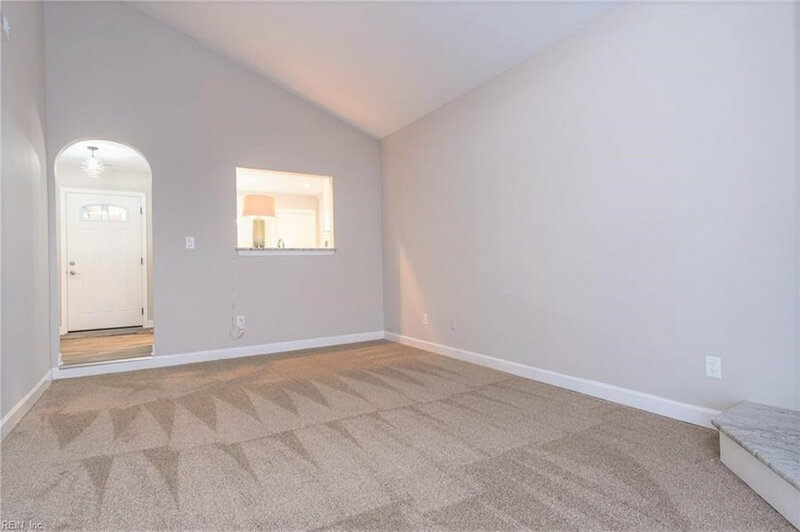 Aging-In-Place at its finest! 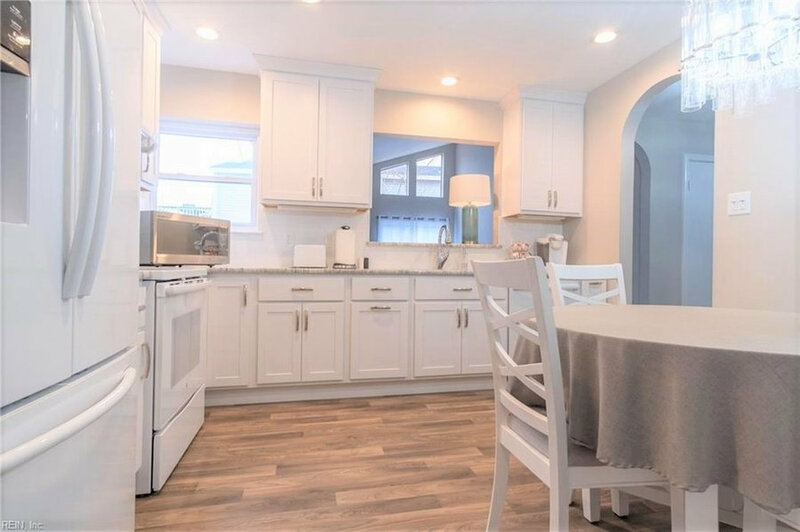 This whole house remodel in Virginia Beach included the kitchen, family room, foyer, hallway, closets, bathroom, master bedroom, and guest bedroom. 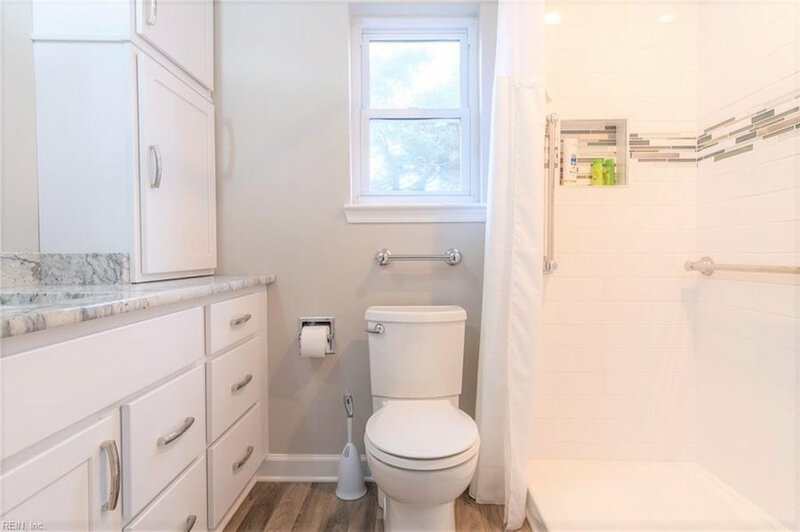 Dark and dated was transformed to light and airy. 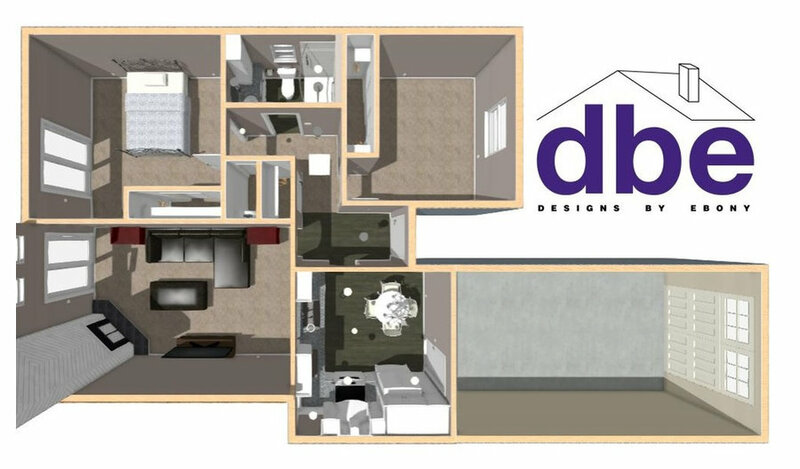 All aspects of Living-in-Place and Universal Design were used in this home for a deserving client. 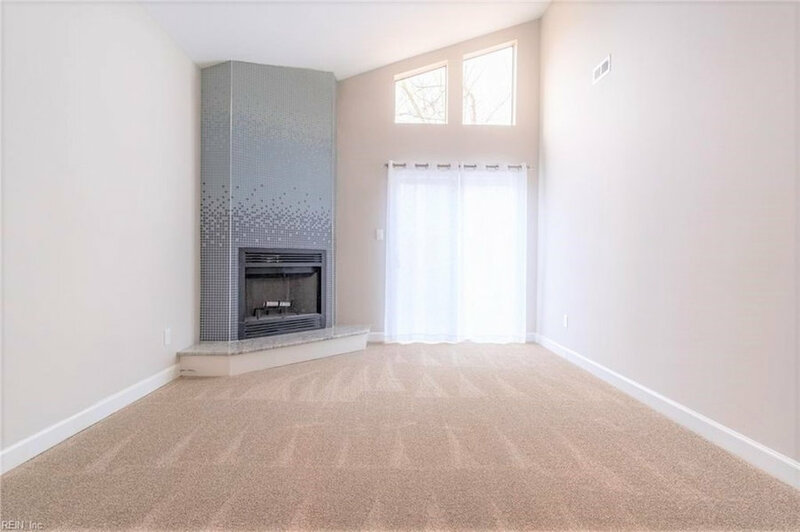 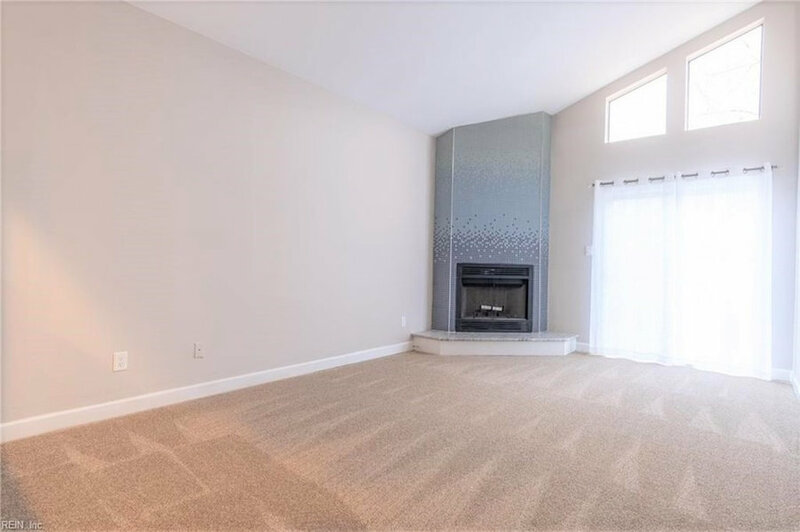 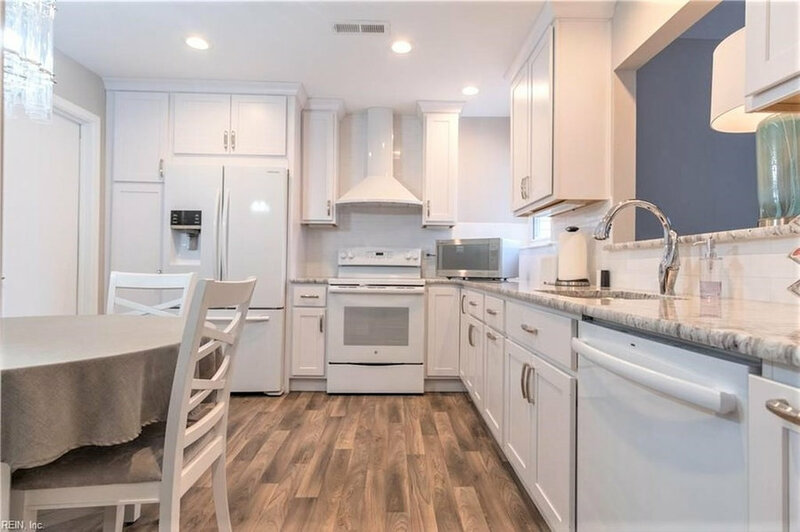 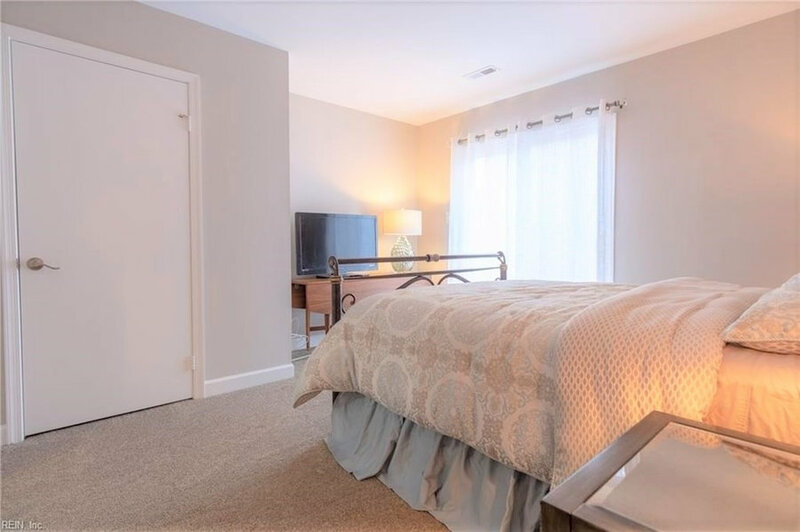 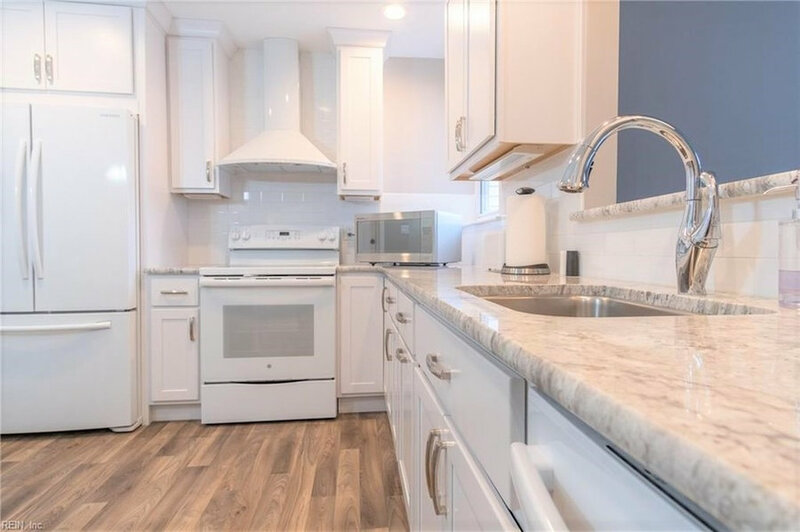 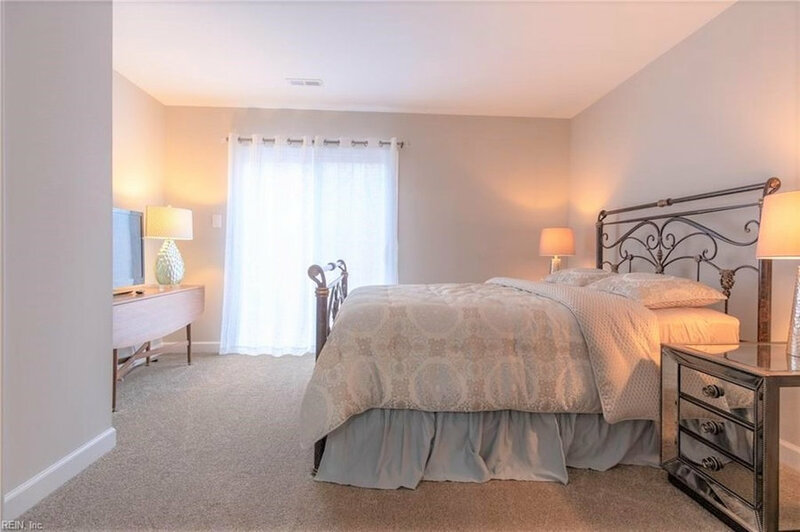 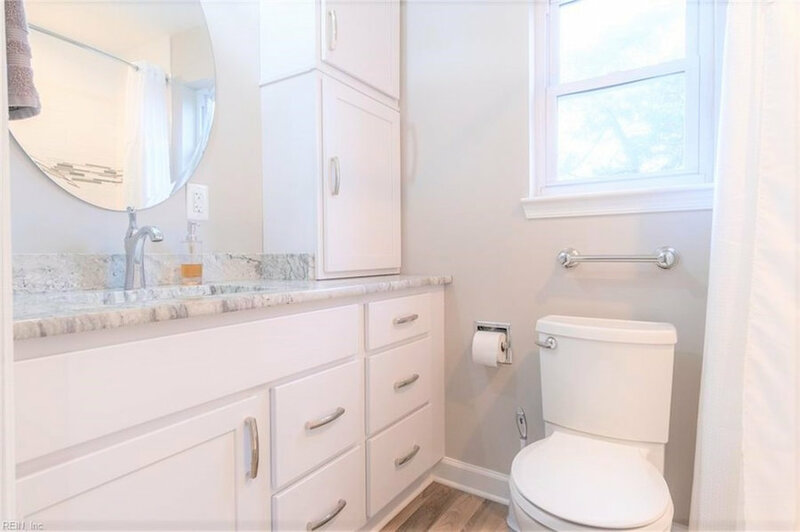 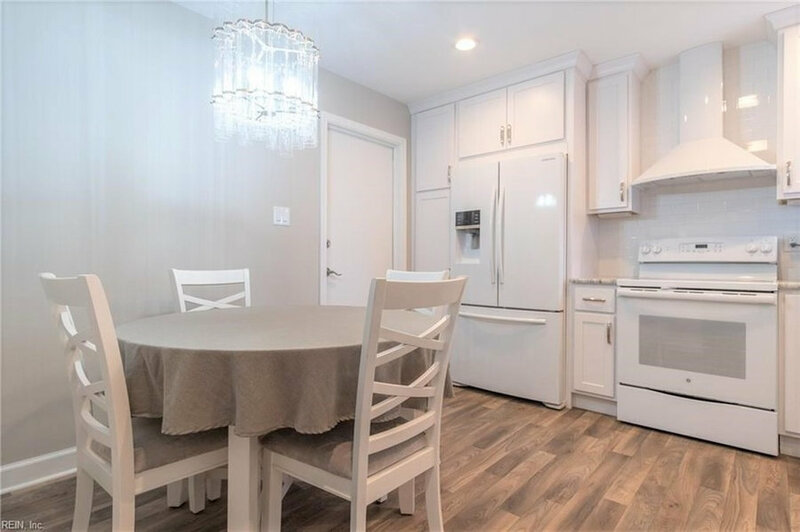 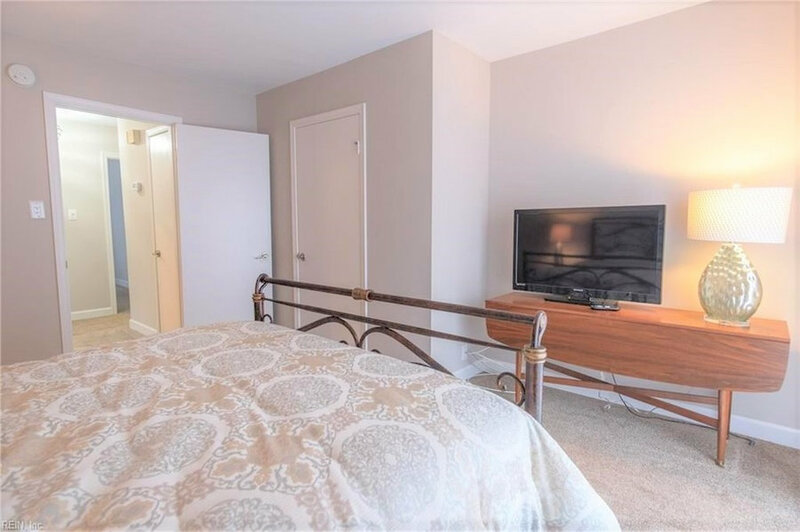 Updates included soft carpet with extra padding, non-slip and easy to clean Luxury Sheet Vinyl floors, LED lights throughout, and easy to grasp pulls on all the cabinets. 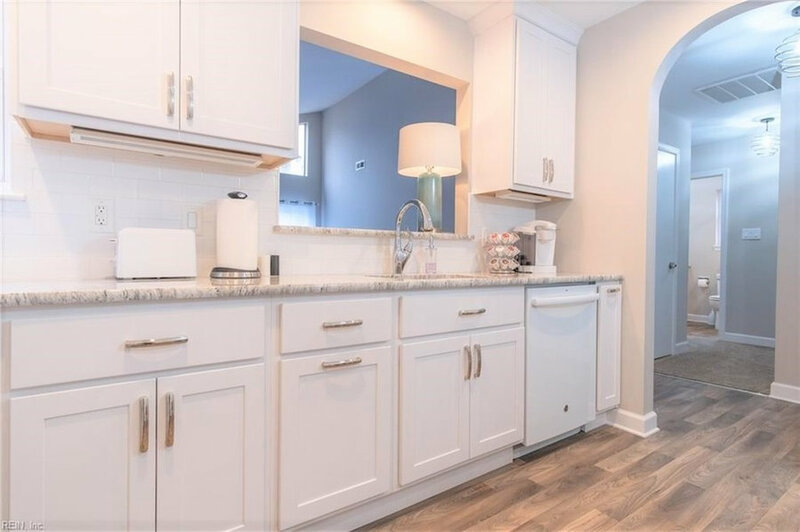 In the kitchen we removed the soffit and installed white shaker cabinets with plenty of accessible storage. 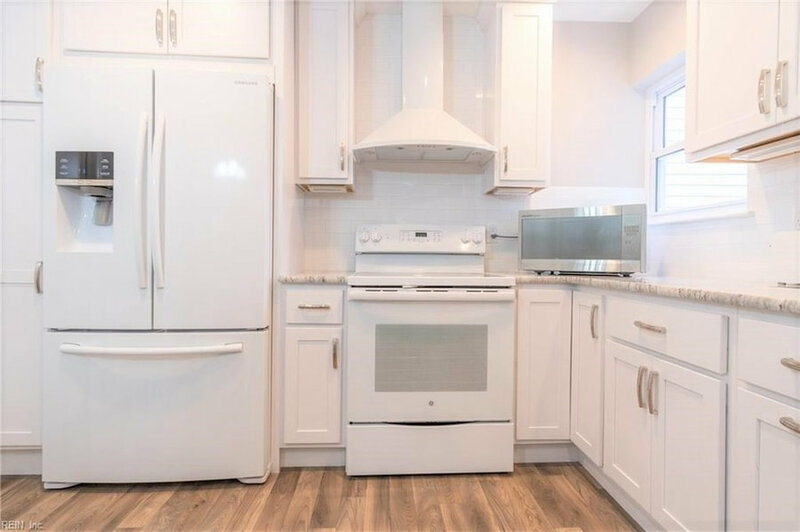 We used white appliances and a white tiled back splash for a seamless look. 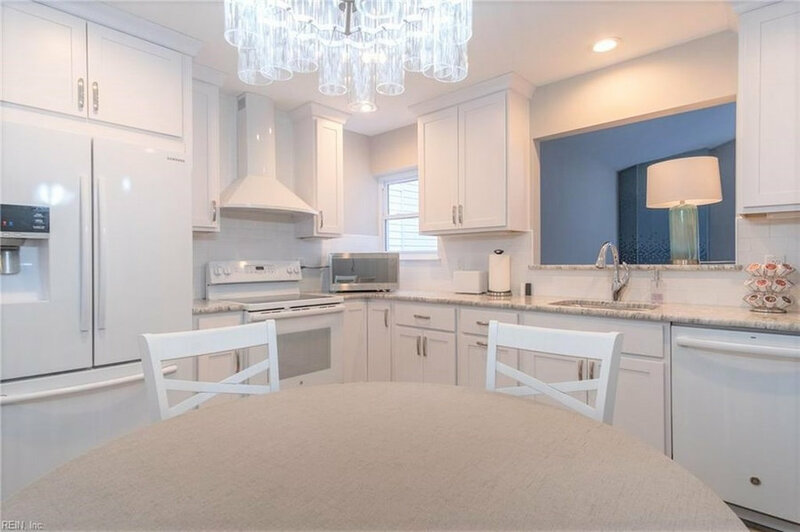 Plenty of LED lighting was added including recessed, under-cabinet, and a beautiful chandelier over the table. 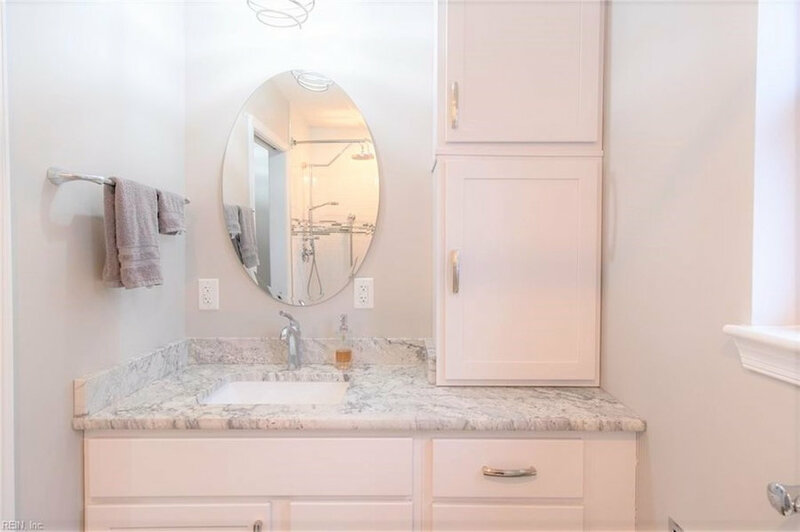 In the bathroom we equipped the vanity with easy access drawers and storage at a height comfortable to my client. 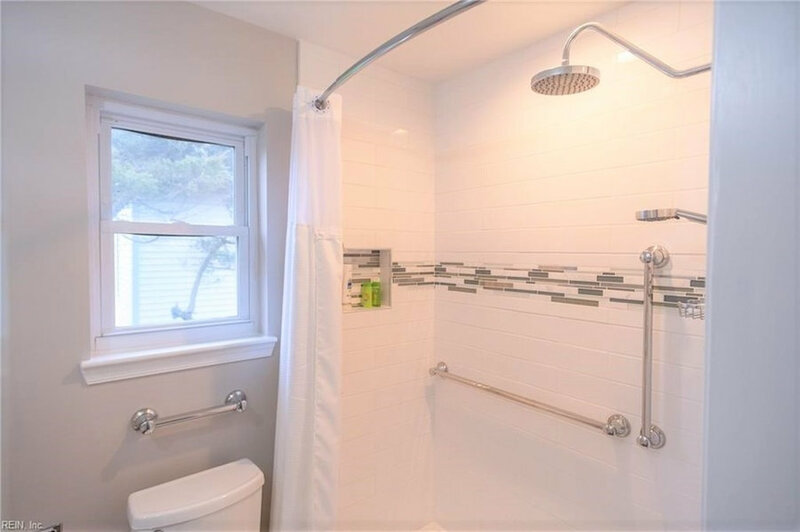 We finished the space off with plenty of stylish grab bars, a rain head shower head with a handheld on a slide bar, and easy to clean tile walls with a horizontal accent strip to help with balance and depth perception. 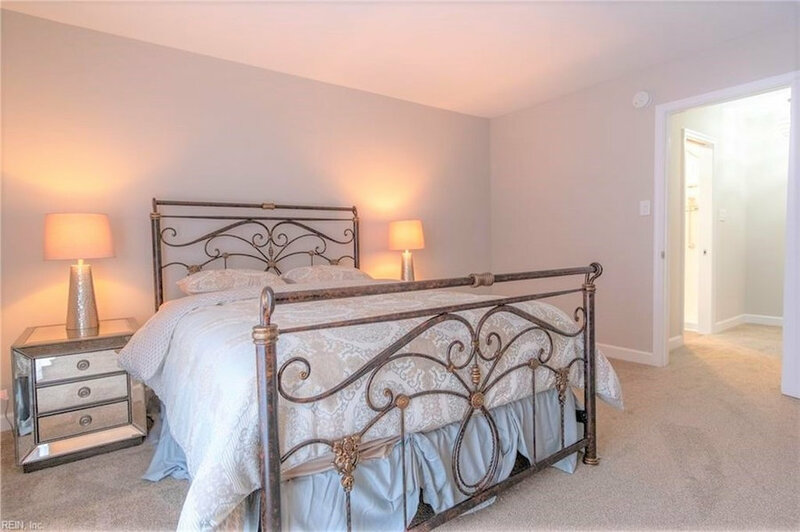 The bedrooms were updated with new carpet and a fresh coat of paint. 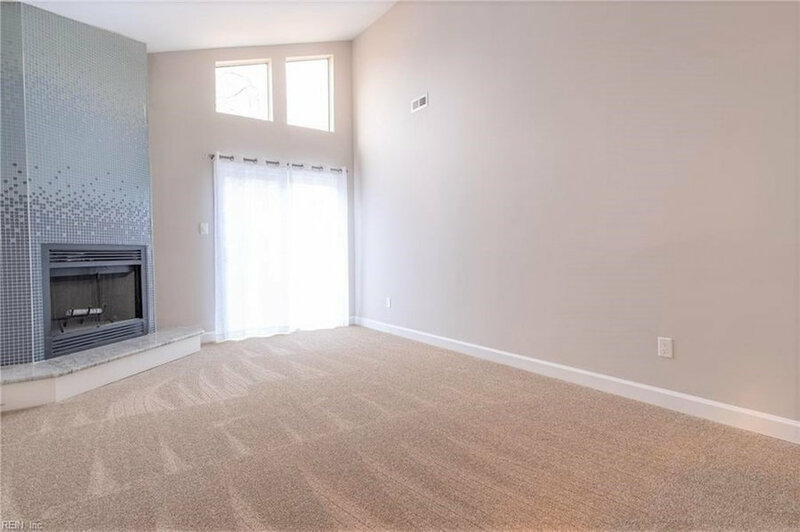 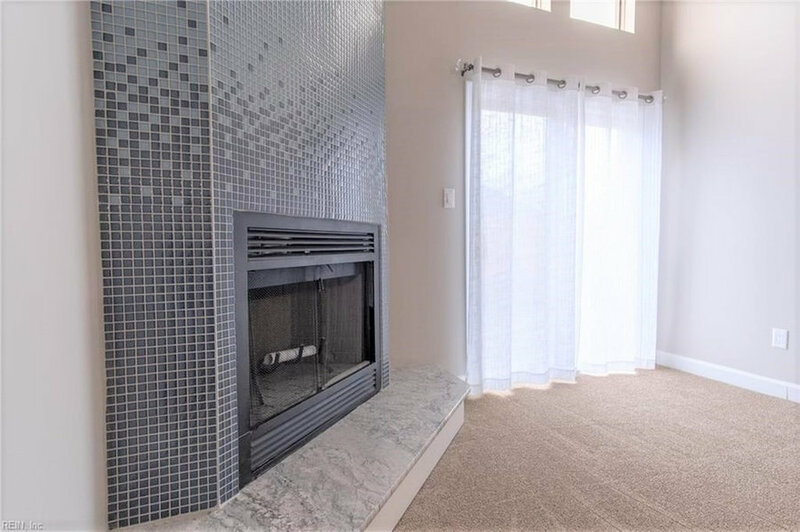 The family room got a beautiful focal point with a custom tiled fireplace of 1x1 tiles in an ombre' pattern. 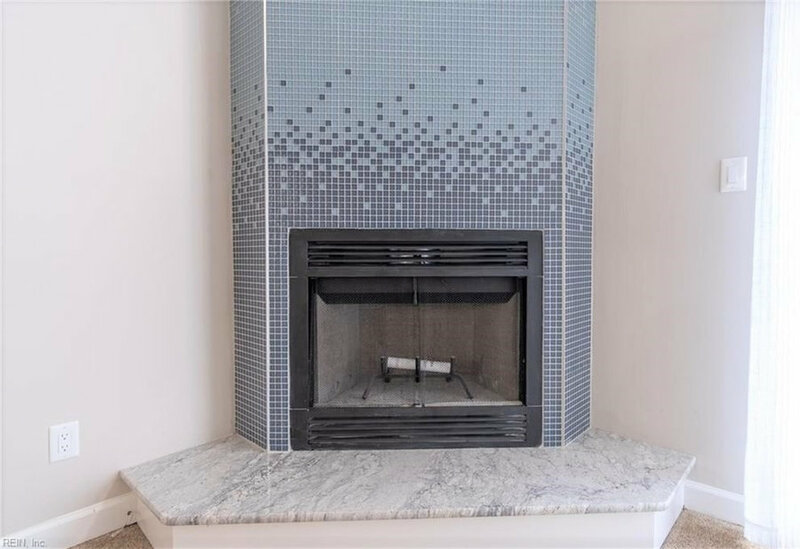 The hearth was then finished of with matching granite from the kitchen.